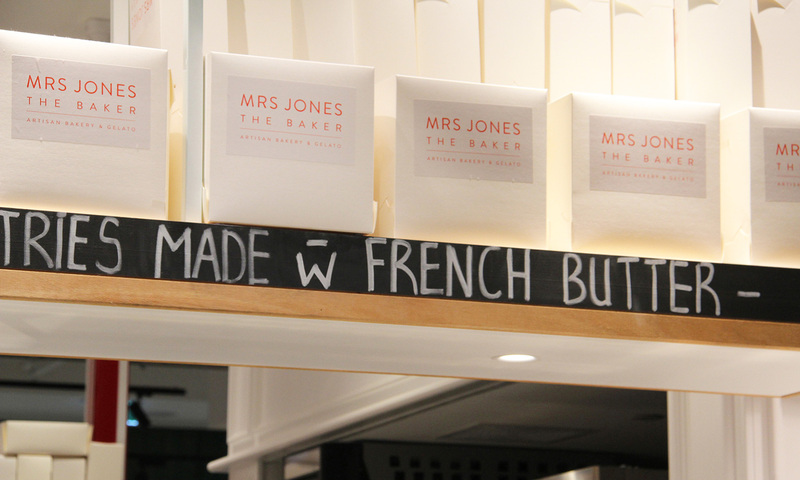 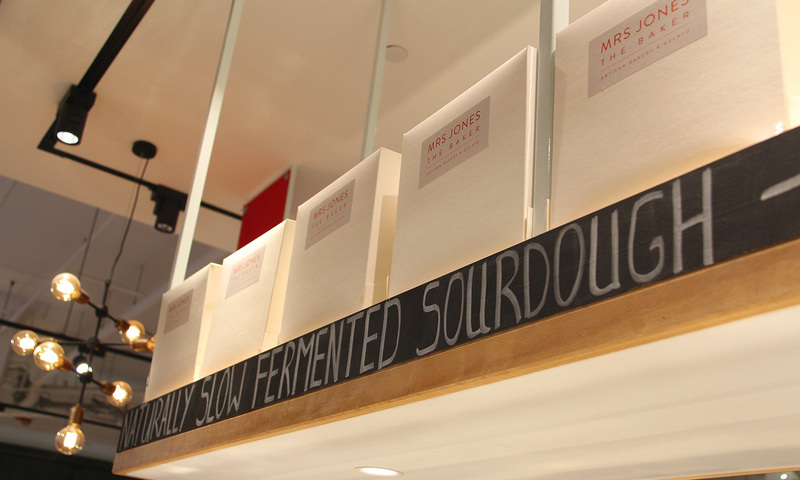 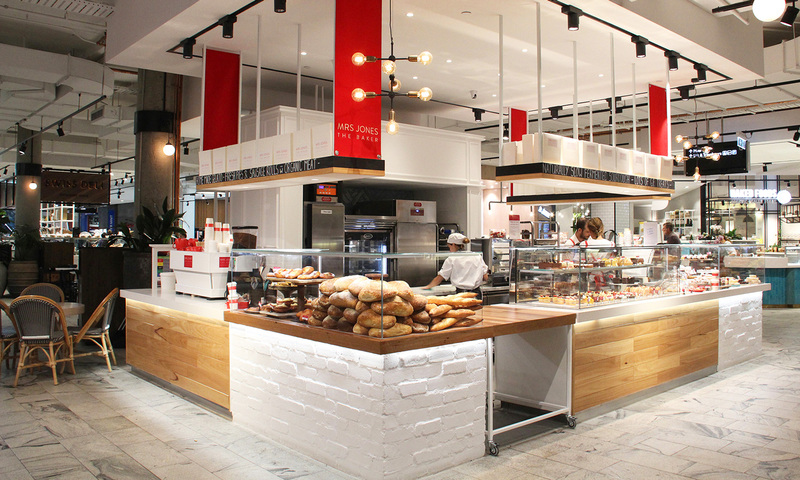 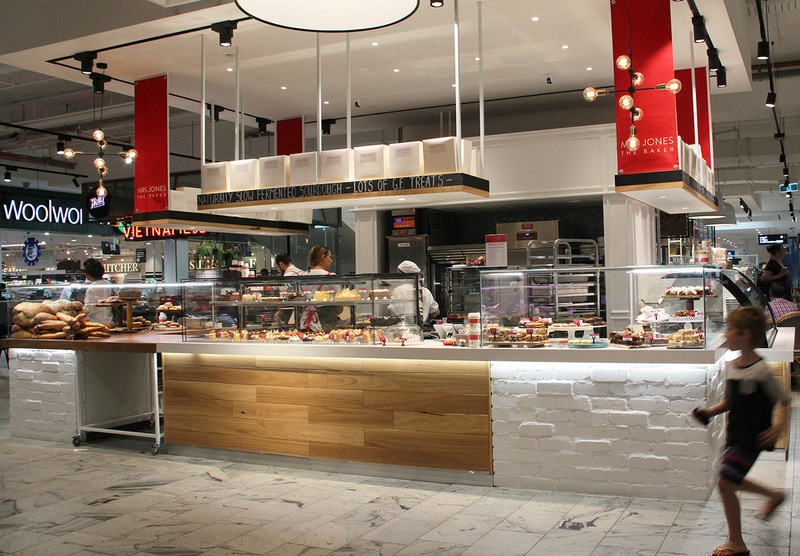 Mrs Jones – The Baker is an award winning artisan bread, patisserie and gelateria on Sydney’s northern beaches. 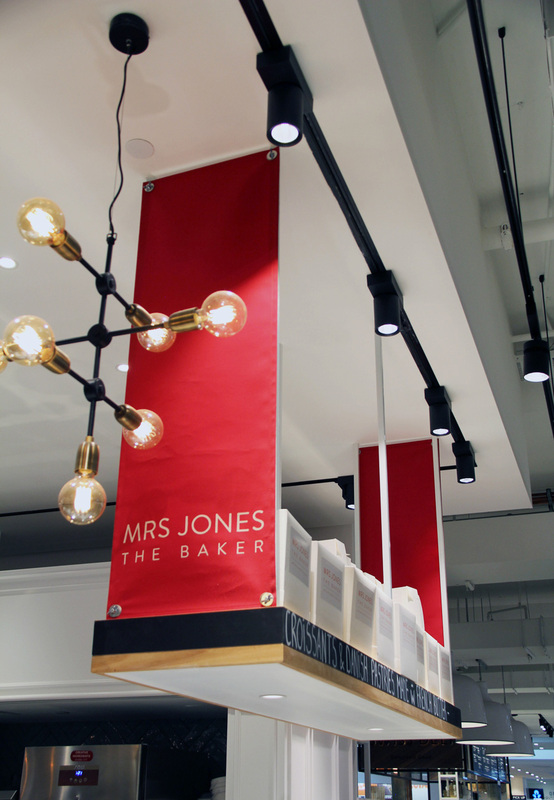 The client’s brief was to maintain their brand identity and materials palette from their flagship store in Freshwater. 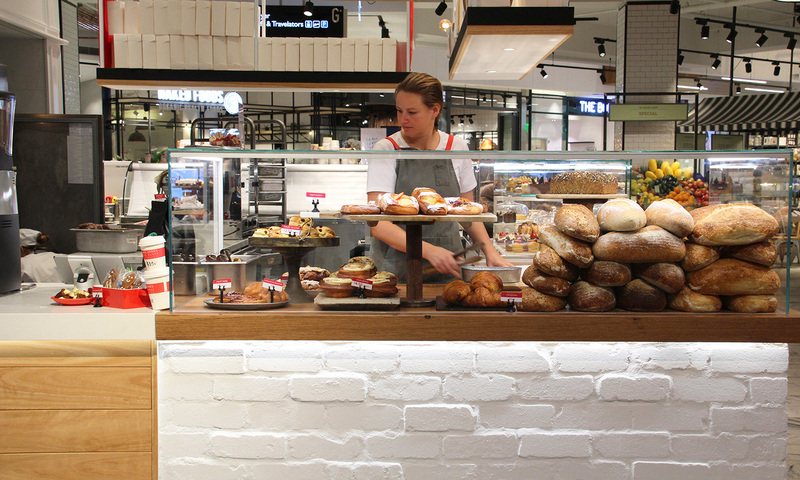 The rustic brick work, timber panelling and industrial lighting creates a minimal aesthetic, not to detract from the exceptionally crafted product. 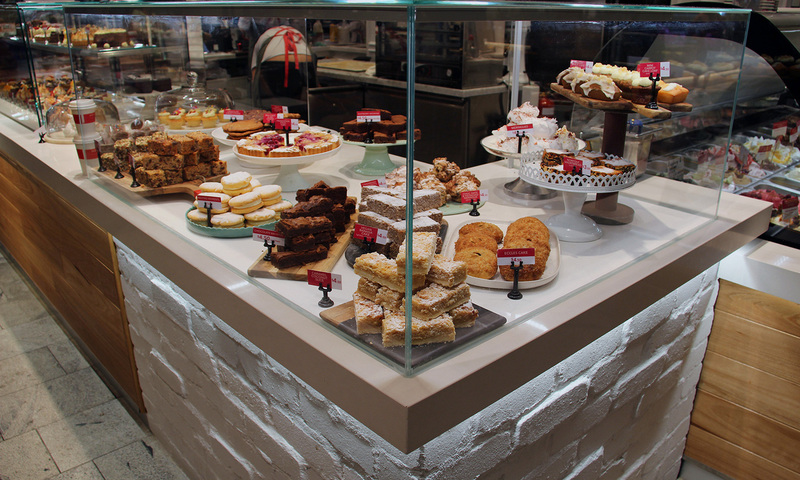 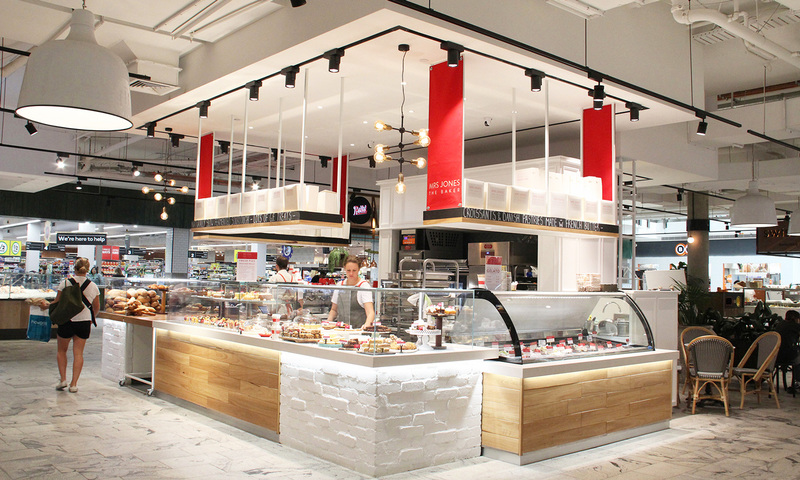 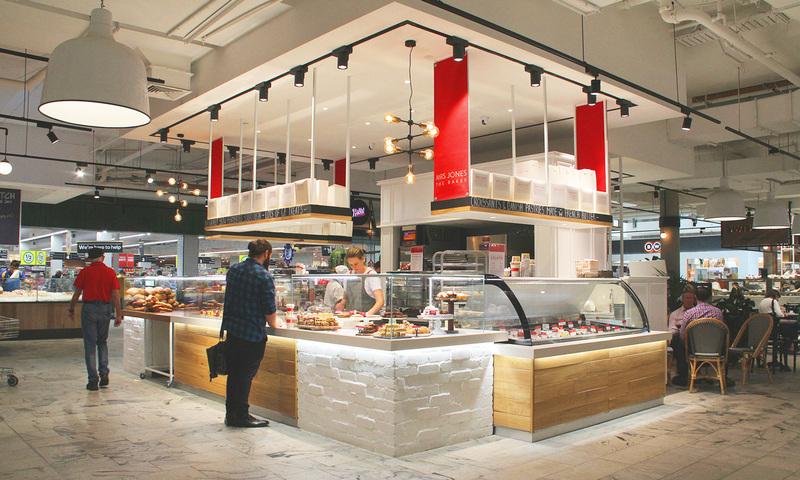 Integrated lighting and frameless glass display’s create clean lines and an entirely customised result. 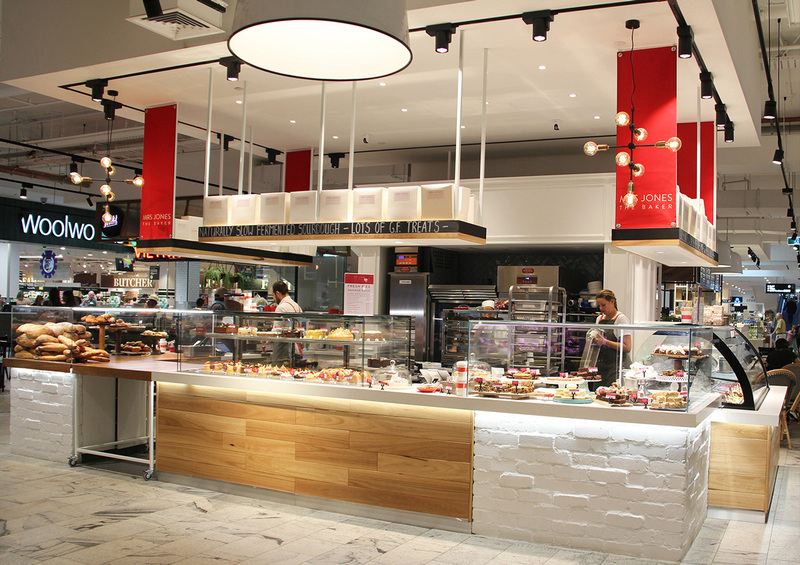 We subtly linked the branding elements as signage banners to the end of the high level gantries to create 360 degree brand presence in the Westfield Warringah site context.